When planning a vacation to Walt Disney World the first decision that needs to be made is where to stay for the duration of your vacation. This is a much more complex question than one would think as you must first decide whether you would like to stay in a Walt Disney World Resort hotel or not. 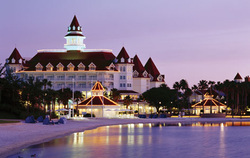 Click the link below to see the positive aspects of staying in a Walt Disney Resort Hotel. Why Stay On Site at Disney World? Once you have made the decision on whether or not to stay on Disney property or at an off-site property you then must choose a specific hotel or resort. Use the links below to help decided which Disney resort you would like to stay in or see some of the off site options around Disney World.